I can bring it to life a little by switching to singleband pseudocolour and applying a colour ramp. The image after ‘ImageClassifer’ is an image of labels (0, 1, 2 for example). 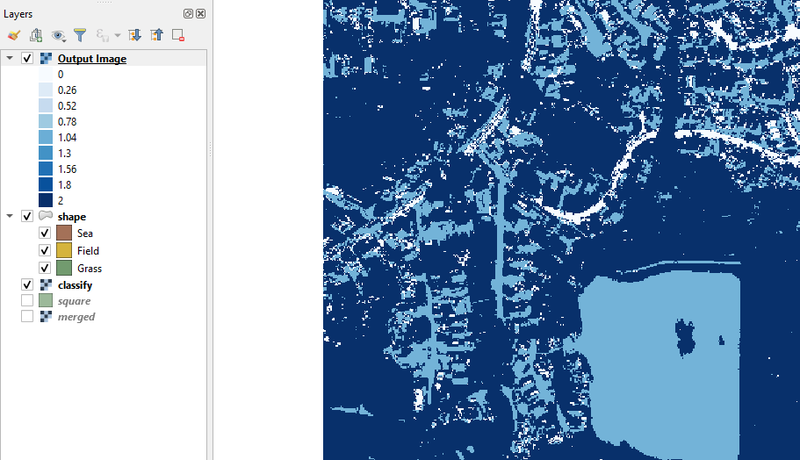 You can tell QGIS to use the colors you want for those labels in the properties -> style menu. You can also generate an RGB image with the otb application called ColorMapping. 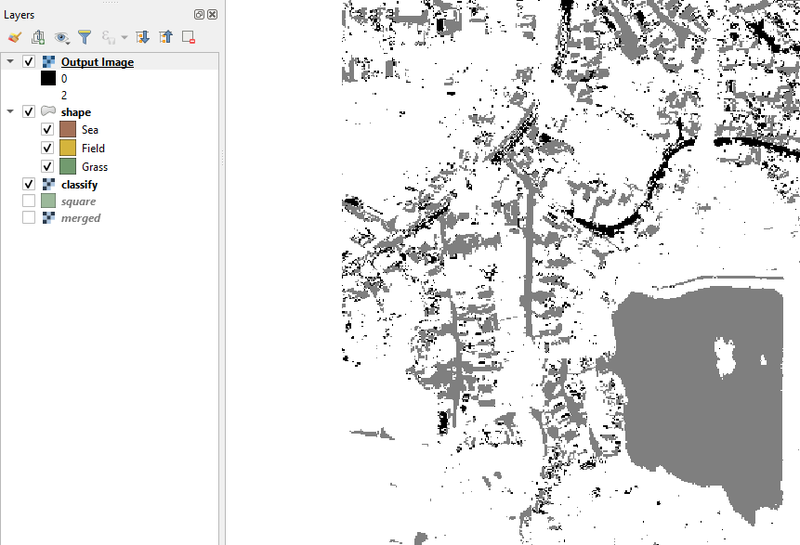 For pure QGIS question you can also ask on: GIS stackexchange where you might get more replies.